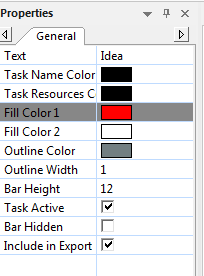 MatchWare FAQ » MindView » Project Management » I can’t change the colour of a specific Summary Task in my Gantt Chart? 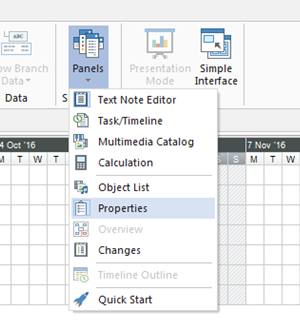 If you try to change the colour of a specific Summary Task in the Gantt chart by selecting the Summary Task and selecting the Format tab in the Ribbon and then selecting a colour from the Fill Colour option, you will find that this does not work. The issue also occurs with Milestones. This is an error in MindView 6 which will be solved in the next service pack. 1. Select the Summary Task that you want to individually change. 2. In the ribbon, open the Properties Panel by going to View > Panel > Properties. 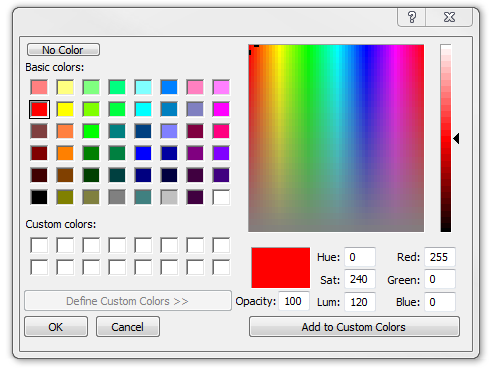 You will find that the colour of the Summary task that you have selected will change. No other tasks will be affected.